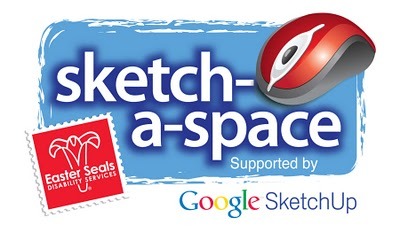 We've collaborated with our friends at Easter Seals on a unique design competition that launched yesterday: Sketch-a-Space invites both pros and amateurs to use Google SketchUp to design spaces for people with autism. Our own Project Spectrum was started specifically with this community of people in mind. Qualities of light, color, pattern, sound and other factors are critical to all good design; when it comes to design for people on the autism spectrum, this is doubly true. Some folks who are on the autism spectrum have environmental sensitivities that can have a profound effect on their ability to make use of a space. Understanding these sensitivities and creating spaces that accommodate them is what Sketch-a-Space is all about. 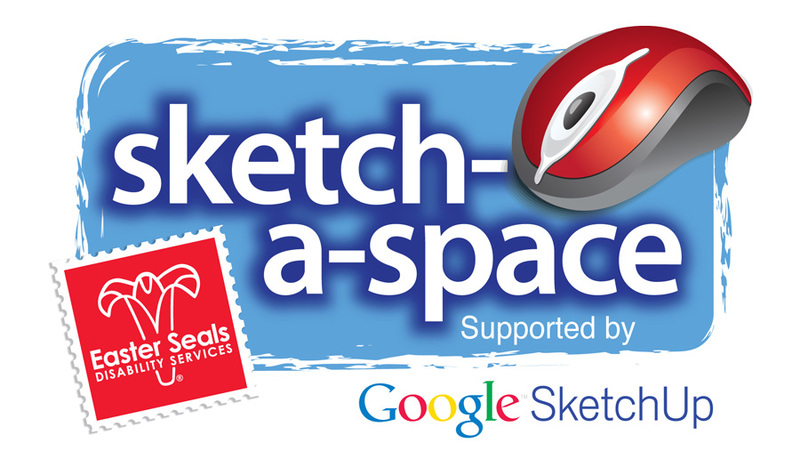 For complete details, including information about entering the competition, prizes, deadlines, judging (hint: I'm one of them) and official rules, visit the Sketch-a-Space website. Desafortunadamente, usted debe vivir en los Estados Unidos para participar en esta competición. Buenos Noticias! Revisamos nuestras reglas y participacion de nuestros amigos internacionales esta permitido. We've already received some entries and are looking forward to many, many more -- you'll have your hands full, judging between them! Hi my name is Victor Michael Oguli from Uganda and don't live in the US but would like to take part in this kind of competition, will there be any competitions open to people across the globe too?